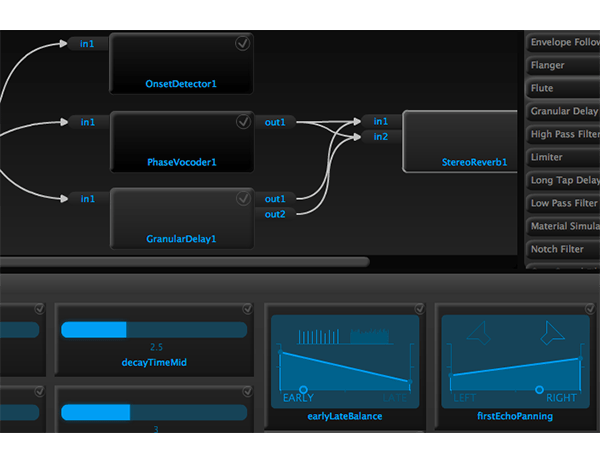 Integra Live is a modular environment for interactive sound transformation and synthesis. It was developed at Birmingham Conservatoire's Integra Lab and part-funded by the Culture programme of the European Union. Integra Live is designed with musicians in mind An application optimised for the process of experimentation, discovery, refinement and performance. 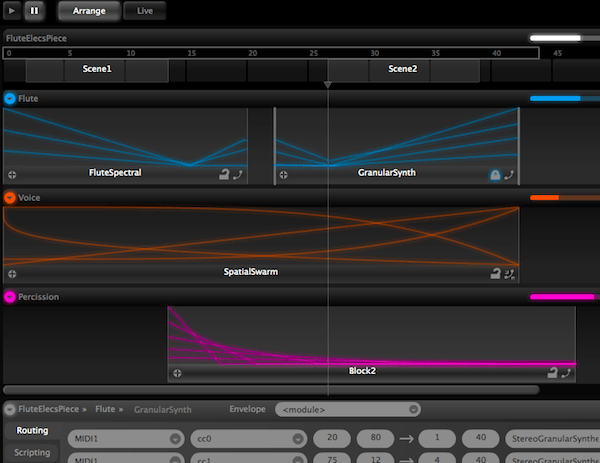 With Integra Live you don’t have to write code or patch objects to create interesting live processing. Neither do you have to deal with the complexities of finding, loading and learning external plugins. The software provides a library of built-in audio processing modules that offer everything you need to get started with interactive audio. Modules share a common look and layout meaning you can get on with the interesting part: making your own blocks and tweaking parameters. With the Integra Live routing panel, anything can be connected everything else. External MIDI controllers can be routed to module parameters, or parameters can be routed to each other. This allows complex one-to-many mappings and advanced operations such as automatic event triggering through a simple interface. 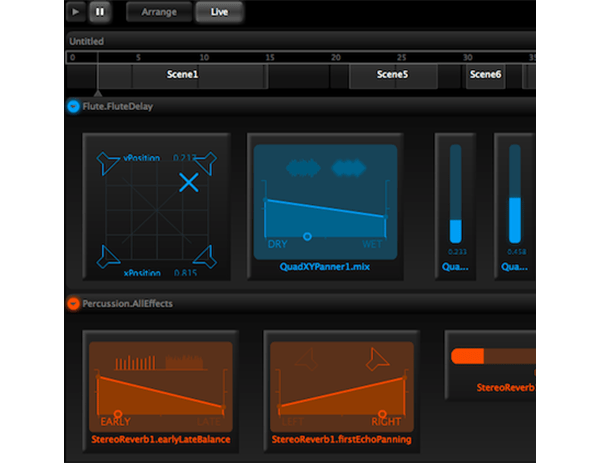 Parameters have non-linear ranges where you’d expect, allowing for more musical control over details such as filter cutoff and delay times. Scaling is of course fully adjustable. For those who like to express themselves through text, all module parameters in Integra Live can be scripted through Integra script a superset of the Lua language. In just a few lines of simple code a parameter can be set to change randomly or conditionally based on the values of other parameters. An Integra Live project file contains all the resources you need for your piece. This includes all modules, and any soundfiles you have loaded or recorded, meaning you can share your projects, and no-one needs to worry about missing plugins or externals. It’s all there. What’s more, we guarantee that your project will always be loadable in future versions of Integra Live, even if modules are changed or removed. Integra Live has been built from the ground up using open source software and open standards. Our audio processing host uses the Pure Data engine enabling users to develop their own modules in Pd. The graphical front end is written using the open source Apache Flex framework. Integra Live is freely available under the GNU GPL license with source code available on GitHub. Click the links below for detailed documentation. Contact us for support.